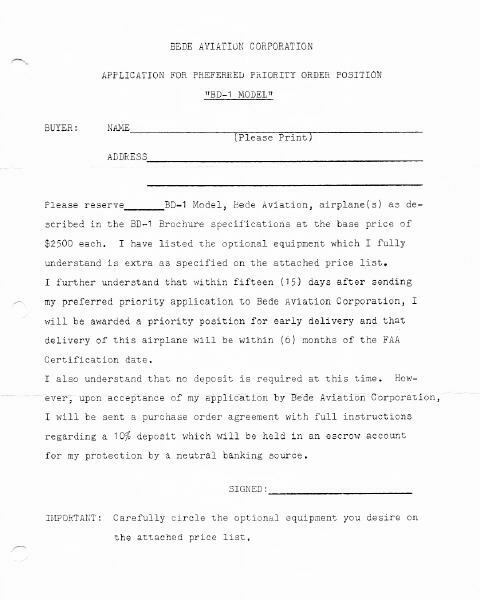 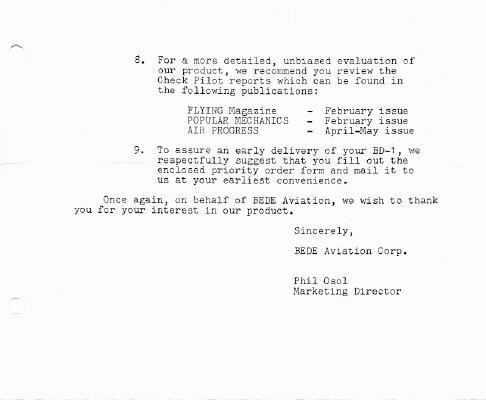 A response to an inquiry about the BD-1, from the original factory in 1964. 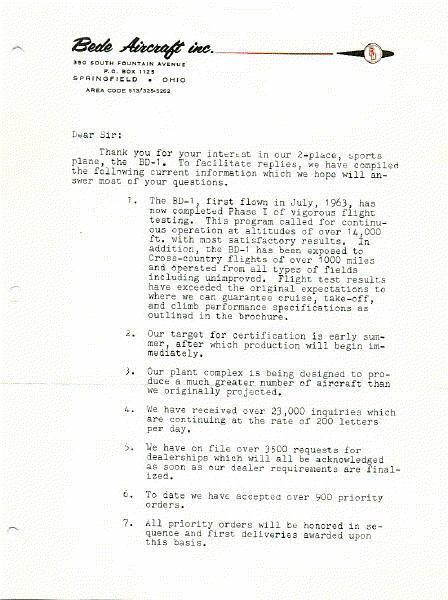 Sort of an FAQ before the term "FAQ" was invented. 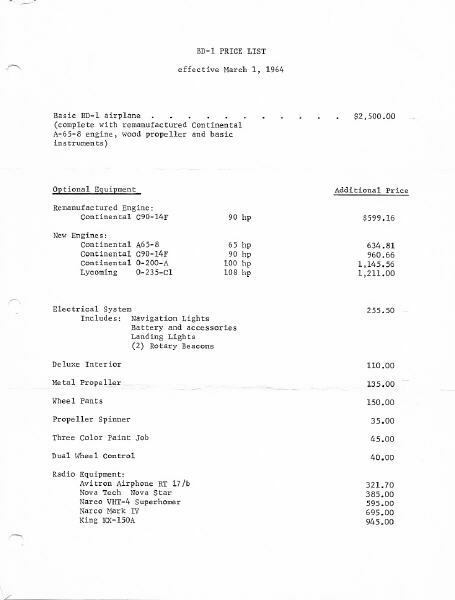 The Grumman-Gang is made possible by Mark Matthews, who is the Webmaster and maintains the mailing list and by Michael Gillespie, who donates this web site.